Apparently today is Skyscraper day, so what better excuse to pull out my Altenew City Scene Stencil and create a card. As you can see I have kept my card monochromatic using using inks from Altenew's Sweet Dreams collection. For the sentiment I used the Enjoy die from Honey Bee Stamps and then added the sentiment from the coordinating stamp set. To finish off the card I added some blue crystals. 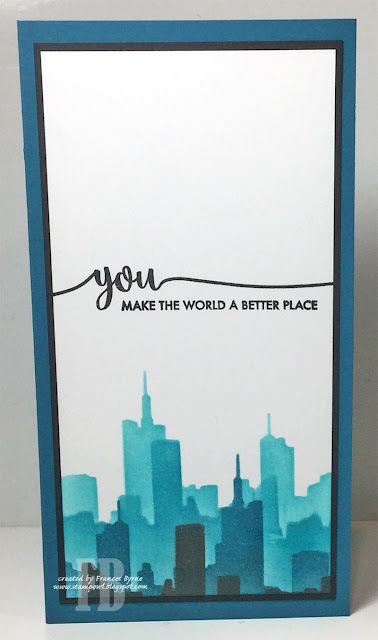 For the inside of the card I repeating the City Scene at the base of the card, making it a little shorter than on the front. 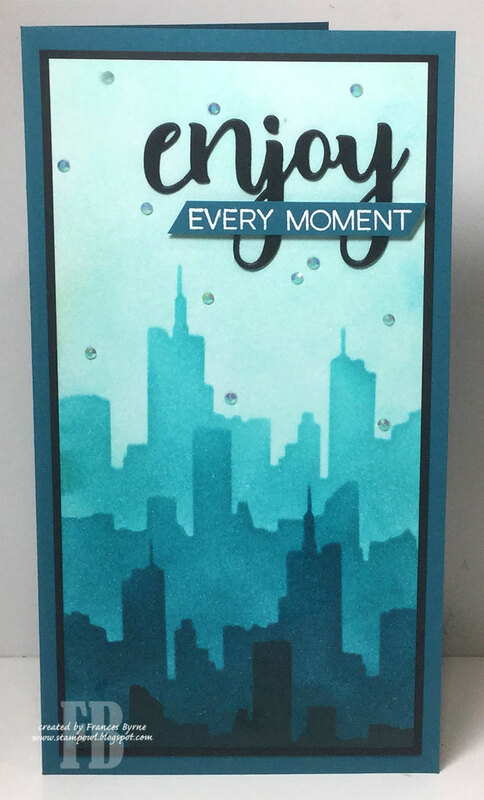 I then added a sentiment from Avery Elle's Sentimental Too stamp set.